It shouldn’t be much of a surprise that recent studies show potential employers, dates, friends, parents-in-law, etc., Google you. But did you know that you have the power to change what they see? There are many scams in the SEO (search engine optimization) space so be careful. We are pleased to announce that we have partnered with BrandYourself, a great, legitimate product that helps you control your search results. Even universities like Johns Hopkins and Syracuse are buying BrandYourself for their students to give them a leg up when applying for jobs. BrandYourself helps by making sure search engines find and rank your most relevant results at the top; thus, improving your personal brand. 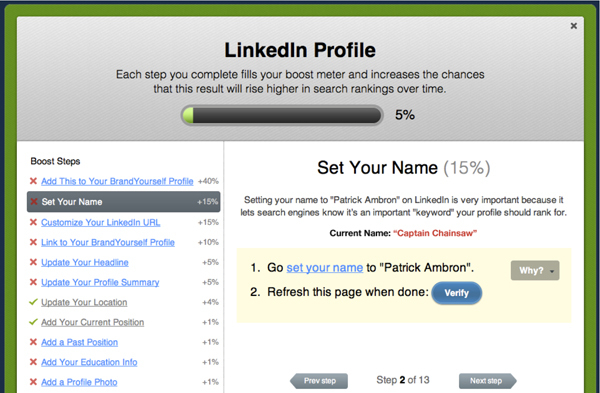 Use BrandYourself’s DIY steps to update your existing profiles (like LinkedIn, Twitter, etc.) so that they are more relevant in Google. 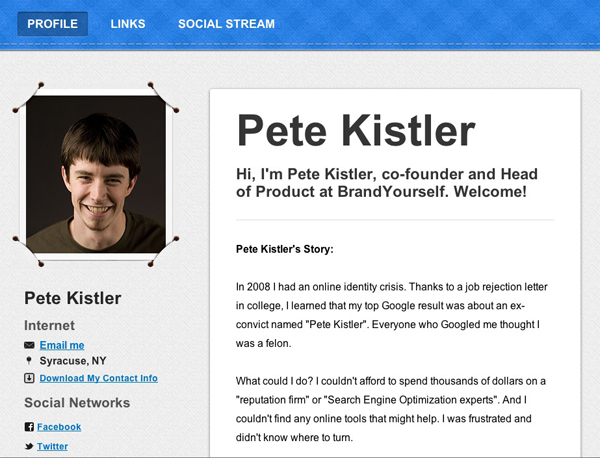 Brand Yourself has built a beautiful profile that ranks high in search results. They even let you easily fill it with existing information from your other profiles before you publish it. 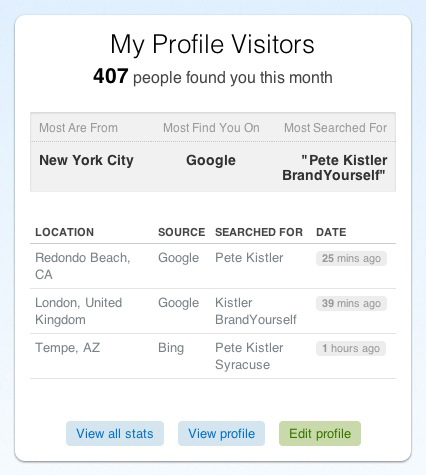 BrandYourself has incredible monitoring and analytics. It lets you see where in Google each result is this week, and who has been searching for you. You can register for free to boost positive Google results and bury unwanted or negative results. If you want to change more than three links, it’s only $10/month. You pay $100/month for a gym so you look good in person so don’t be cheap with your online reputation!